Would you like to cook up a storm and get paid handsomely? If the answer is in affirmative then read on to know about career as a chef which is fast catching the fancy of youngsters. The employers are hiring in much larger numbers and there are some good hotel management courses on offer. Chef as a career is fast emerging as a preferred career choice. The reasons behind this may be the prize money of the popular show on TV “Master Chef “ or the ever growing number of restaurants in every city or even the fast growing phenomenon of eating out many times a week. Moreover the number of Hotels is also increasing in every city and town of India and the existing chains are gaining popularity. Thus the demand of chef’s is increasing. A recent industry report suggests that the number of chefs in the hotel of same size is also increasing. (Industry experts attribute this to the increase in live kitchens and Show kitchens in the Hotels). But before you decide to do Hotel management courses you must see how well you fit in the requirements of being a Chef. What do I need to become a good Chef? This is a very competitive industry and gone are the days when a pleasing personality and just good talking skills were enough. One would need many skills like communication skills, organizing skills to remain calm under pressure, being a team player and being decisive and ability to remain on feet for long hours to be successful in this career. Attention to details is another skill which is a must for being successful in hotel industry. To be a successful Chef, in addition to the above mention skills you need to have a lot of interest in food and cooking, you should be a multi tasker, and should have creativity and good organization skills. To reach the top position of an Executive Chef (Kitchen Manager) it takes a lot of skills and of course lots of cooking. You can choose any stream in after class 10thandafter class 12thyou can enroll for a Hotel Management Graduate Degree or Diploma. The admission in reputed Institutes is through entrance exams. The Hotel Management degree can either be of 3 or 4 years and to join a Big Chain of Hotel you can apply as a trainee while you are still in your last year. One begins as a trainee Chef, after gaining skills one becomes a section Chef and then a Sous Chef and then Executive Chef. The course fee varies across various institutes. The candidates through JEE of NCHMCT have to pay a fee of around 35,000 per semester while at private institutes the fee charged is much higher. 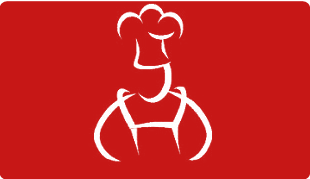 After the completion of training a Chef can begin with a salary of more than Rs 40,000 in a reputed Hotel Chain. The salaries of Executive Chefs are much higher. So, if you have culinary skills and a love for food, you can think about a successful career as a Chef.